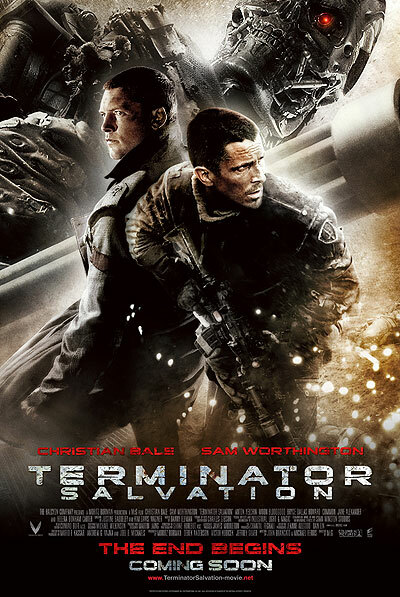 Christian Bale, Sam Worthington and Anton Yelchin star in the sci-fi action sequel Terminator Salvation. In 2018, Marcus Wright (Worthington), a half-human and half-machine, comes to John Connor (Bale) on the eve of a resistance attack on Skynet. MPAA Rating: PG-13 for intense sequences of sci-fi violence and action, and language. In the highly anticipated new installment of “The Terminator” film franchise, set in post-apocalyptic 2018, Christian Bale stars as John Connor, the man fated to lead the human resistance against Skynet and its army of Terminators. But the future Connor was raised to believe in is altered in part by the appearance of Marcus Wright (Sam Worthington), a stranger whose last memory is of being on death row. Connor must decide whether Marcus has been sent from the future, or rescued from the past. As Skynet prepares its final onslaught, Connor and Marcus both embark on an odyssey that takes them into the heart of Skynet’s operations, where they uncover the terrible secret behind the possible annihilation of mankind.